If you’re new to the world of credit catalogues, you’ll probably find yourself wondering why they are so popular. Don’t worry, you’re not alone and a lot of new shoppers wonder the same. This is why we have noted down the more important pros and cons of using a credit catalogue. So, you’re able to get started knowing everything you need to know. From the benefits of paying with monthly installments to the benefits of being accepted with a bad credit rating, we have covered everything. What are the Pros of Catalogue Credit? You Can Pay for Items at a Later Date – When you’re shopping using a credit catalogue, you are able to pay for items at a much later date. This means that rather than needing to have the funds to make a purchase, you can buy what you need without worrying about whether you have the money to afford it. Instead, you’re able to pay at a later date. This is ideal if you are short of money one month, but expect the purchase to be within budget for the next month. Repayments are Affordable and Spread Out – One of the biggest problems that people have with shopping is that they are expected to spend a lot of money in one go, but this isn’t the case with credit catalogues. Credit catalogues offer a range of affordable repayment options, usually over the course of a number of months. Rather than paying a large sum of money in one go, you’re able to spread the cost out. Low Credit Scores Don’t Hold You Back – It can be difficult to be approved for a bank loan or credit card if your credit score is low, but this won’t hold you back when you use a credit catalogue. Bad credit catalogues accept a range of different shoppers, including those with a poor credit rating. This means that everyone can shop using a bad credit catalogue. There’s Interest Free Periods to Enjoy – A lot of credit catalogues offer interest free periods when you first sign up, which is a fantastic way to take advantage of the credit catalogue without any additional costs. Whereas interest is added to the smaller repayments, as a cost for the privilege of paying over a longer period of time, you could avoid this by paying the total amount off within the interest free period. Credit Catalogues Offer Incentives – As a way to encourage you to sign up, a lot of credit catalogues offer incentives. These are usually in the form of money off offers and free delivery. Taking advantage of these offers is a great way to save money and who doesn’t want to save money? There’s No Need to Save in Advance – A lot of people face the problem of needing to buy an expensive item, without the time to save the funds to buy it. Luckily, a credit catalogue offers a way around this. Rather than saving money in advance, you’re able to purchase the item and pay for it in a more affordable way. You Don’t Need to Wait for Items You Need Urgently – There’s sure to be a time when you need items urgently, but you find yourself having to wait until you can spare the money to buy them. When you use a bad credit catalogue, this isn’t a problem. You can receive the items you need, despite spreading the cost out across a number of months,. What are the Cons of Catalogue Credit? Interest Can Mean Items Cost More – Though spreading out the cost of your purchases makes everything a lot more affordable, adding on interest can mean that it costs more overall. However, by taking advantage of interest free repayment periods, this can be avoided. Plus, a limited amount of interest is a small price to pay for the benefit of affordable repayments. You May Forget to Keep on Top of Repayments – Usually, repayments need to be paid on a monthly basis and credit catalogues make this process extremely easy. However, there is always the risk of you forgetting to keep on top of repayments and this may cause additional costs. Luckily, credit catalogues are designed to keep repayments simple. It’s Relatively Easy to Buy Too Much – Shopping using a credit catalogue does require a certain level of self-restraint, as it’s easy to buy too much. After all, nobody wants to deny themselves of the perfect item just because they’ve already bought something else. Luckily, thanks to the affordable ways to repay, buying too much using instant catalogue credit is rarely a problem. Though there are a few downsides to using bad credit catalogues, these are minor and do not cause any problems. In fact, the cons are quickly outweighed by the impressive number of benefits. Whether you’re looking for a more affordable way to shop or you’re struggling with a poor credit rating, bad catalogue credit is ideal. 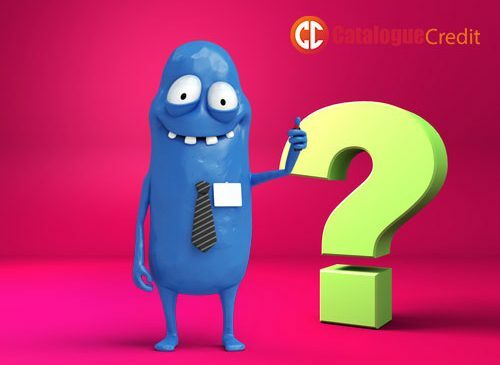 There are a number of credit catalogues to choose from, which means there’s something for everyone. This is why credit catalogues continue to be so popular.